Is there a better alternative to Home Remedies? Is Home Remedies really the best app in Medical category? 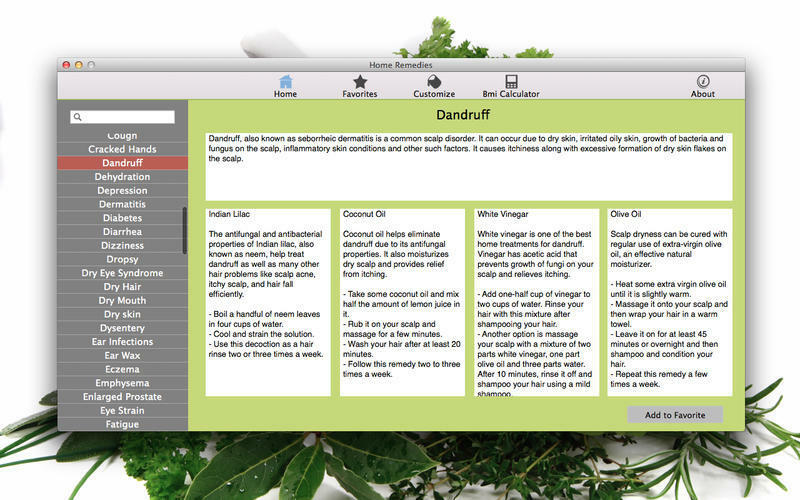 Will Home Remedies work good on macOS 10.13.4? Home Remedies is unique collection of best remedies for diseases. Treatments using home remedies are becoming the first choice of many people with health concerns. These natural cures are useful and healthy. Home Remedies provides you the best tips for how to cure with natural remedies and a comprehensive guide to natural home remedies using herbal, plants, fruits or vegetables around your house. Note: The information presented in this application are intended to help you make decisions in due aware of regarding your own health. Home Remedies app cannot and should not replace a pharmacist or a doctor consultation. Home Remedies needs a review. Be the first to review this app and get the discussion started!